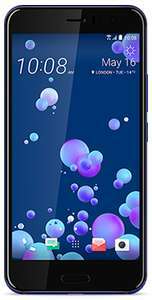 DxO Labs gave the HTC U11 camera a cracking DxOMark mobile rating of 90 in June 2017. Solid image stabilization, sharp low light performance, and fast autofocus all stood out. If you’re a photography lover, this here’s the perfect phone for you. Apply pressure to the sides of the U11’s clever frame to activate different apps and functions. Your email, pics or camera are just a squeeze away. Very cool. The U11 features the impressive HTC USonic with it’s state-of-the-art noise cancelling technology. So, you can enjoy your tunes with top quality sound free from disruptions. 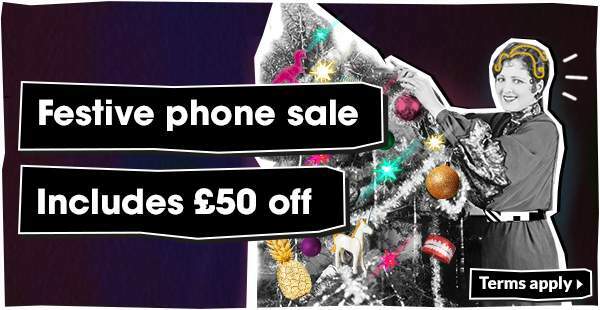 If you don't have an active giffgaff SIM you’ll need to buy a minimum £10 goodybag with this phone. You can cancel your goodybag anytime. I currently have the one m8 and it's been a great phone for 3 years or so. Highly recommend HTC products. Literally took delivery of a silver one from Amazon today for £499 d'oh! I've gave you heat for a cracking deal that tempts me as I've always loved HTC devices. It's already been knocked off top spot in the camera rankings by the iPhone 8/10 and pixel 2's though. DxoMark scores are also not out of 100, there's no cap. Is the plus version worth the extra? I've gave you heat for a cracking deal that temps me as I've always loved …I've gave you heat for a cracking deal that temps me as I've always loved HTC devices. It's already been knocked off top spot in the camera rankings by the iPhone 8/10 and pixel 2's though. DxoMark scores are also not out of 100, there's no cap. I wouldn't listen to Dxo mark anyway, it's pretty much pay to win over there and to be honest I disagree with most of their findings. I was always told the best camera is the one in your pocket, and all these phones are so close now anyway it's literally splitting hairs. I now have a u11 after selling my note 8 and I prefer it in every way camera and all. That and it is probably the best looking phone of the year when seen in person in my opinion. Very honest of you to say mate, and sorry to hear you are unhappy with your decision. On a positive note, you can grab a cheap U11 now, and probably get enough back for your S8 to fund it! The U11 is amazing, definitely the best HTC yet. Very honest of you to say mate, and sorry to hear you are unhappy with …Very honest of you to say mate, and sorry to hear you are unhappy with your decision.On a positive note, you can grab a cheap U11 now, and probably get enough back for your S8 to fund it!The U11 is amazing, definitely the best HTC yet. Alas I wish that was the case.....my daughter has made her intentions known about the S8 but I will be watching closely. Pop it back and save an extra nifty! the Note8 is still too much! This or the OnePlus 5T 8gb version? I can get that for £450 also with student beans. I've always liked HTC, and feel they are very underated. Same specs as Nokia 8 and that is £359. This or the OnePlus 5T 8gb version? I can get that for £450 also with …This or the OnePlus 5T 8gb version? I can get that for £450 also with student beans. I've always liked HTC, and feel they are very underated. I'm going to go for this. I was holding out for the U11+, but that's £700, This is definately a better buy IMO. It's 8GB of RAM not storage. Had it since launch and cant fault it. Highly recommended at this price. What's the battery life like on this? The battery on my HTC 10 drops like a stone when I'm browsing the Internet. I like the look of this but only the red one is dual SIM. I just want a dual SIM phone with a seperate sdcard and a decent camera. Does anyone know where I can get the dual SIM model or another phone with similar specs? I like the look of this but only the red one is dual SIM. I just want a …I like the look of this but only the red one is dual SIM. I just want a dual SIM phone with a seperate sdcard and a decent camera. Does anyone know where I can get the dual SIM model or another phone with similar specs? 1+ 5t has dual SIM and better camera and screen resolution I reckon? What's the battery life like on this? The battery on my HTC 10 drops like …What's the battery life like on this? The battery on my HTC 10 drops like a stone when I'm browsing the Internet. U11 definitely has better screen res, and I think generally considered to have a better camera. Heat. I paid £585 with a discount when these first came out in June. Seriously can't go wrong with this phone, the screen is amazing, sound and camera. Battery life is pretty good, usually 4-6 hours of screen-on time. Just pre ordered the U11+ now because this was so good. I'm getting over the torture of having a g4 for the past year. In that year I've had: Ghost touch when charging then ghost touch when not charging and now I have awful screen image retention. Everytimr it is repaired they just put another crap screen in and hope for the best. Oh and the charger broke after a month. I will therefore never buy any Moto/Lenovo device ever again. I really want to get something half decent that may actually last a few years and have some resale value. I made one comment (not comments) essentially saying that more people should perhaps consider/buy one of these, rather than blindly 'choose' an S8. Which hate were you referring to? I made one comment (not comments) essentially saying that more people …I made one comment (not comments) essentially saying that more people should perhaps consider/buy one of these, rather than blindly 'choose' an S8.Which hate were you referring to? "Htc" is not a phone, it's a phone Manufacturer.